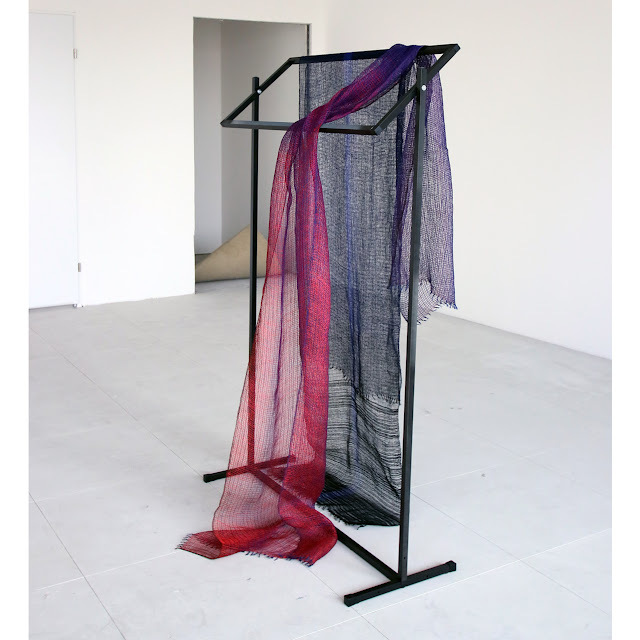 Presentation of the Atelier on Eunique - fair for design unique objects; 8th - 10th of June, Karlsruhe. 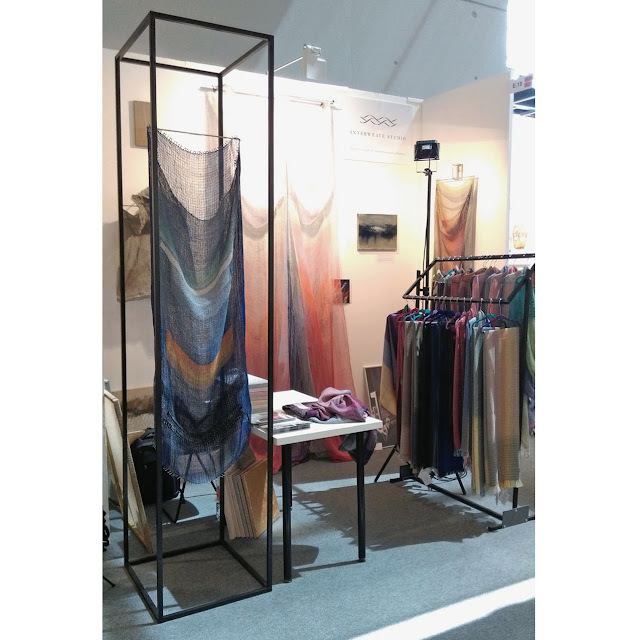 Recent photo session of handwoven watercolours in interior architecture. 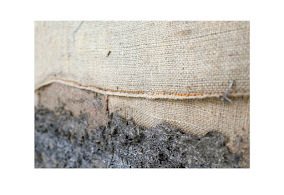 In a search of shimmering features of linen textiles. Steel construction. Geometry vs irregularity. 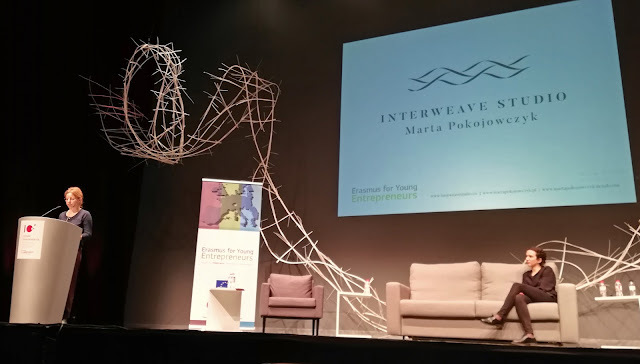 On the 29th of November I had a pleasure to introduce Interweave Studio - an open source Atelier where art interlaces with craft and humanities, during Jornada d'emprendoria in Teatre-Auditori de Sant Cugat. Thank you to the team for this inspiring day. By the way, Barcelona is beautiful!